Microsoft says it has no plans to cut the price of its Xbox 360 console in Japan. The American console is being outsold by both Japanese ones, the Nintendo Wii and the Sony PlayStation 3 . But Darren Houston, president of Microsoft in Japan, said that price cuts were not being considered. That's despite the scheduled Japanese launch of the Xbox 360 Elite upgraded console in the autumn. Houston told Reuters that Microsoft is also not planning to react to Sony's decision to cut the price of the PS3 in the US by $100. He said that while price cuts are an option for the future, none are planned at this time. 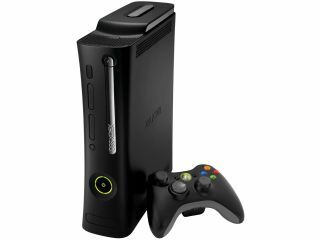 Play.com in the UK recently cut the price of the Xbox 360 Premium console to £229, sparking rumours that the Xbox 360 Elite could be set for an imminent release over here. But no word from Microsoft on that yet. The Xbox 360 has currently sold more units that both the Nintendo Wii and the PS3 - that's just under 12 million, compared to the Wii's 8.5 million and the PS3's 4 million.